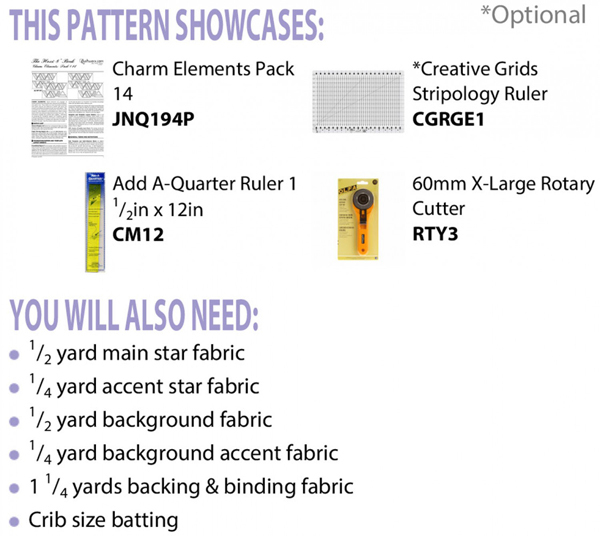 The Northern Star Table Topper pattern is a Cut Loose Press pattern, which is different than a traditional Quiltworx pattern in that it utilizes various tools and Charm Elements (for more information on Charm Elements, click HERE) to create fast, fun, projects and layouts aimed at the beginner or a customer that simply wants to try out a fast project to learn a new technique or how to use a new tool. 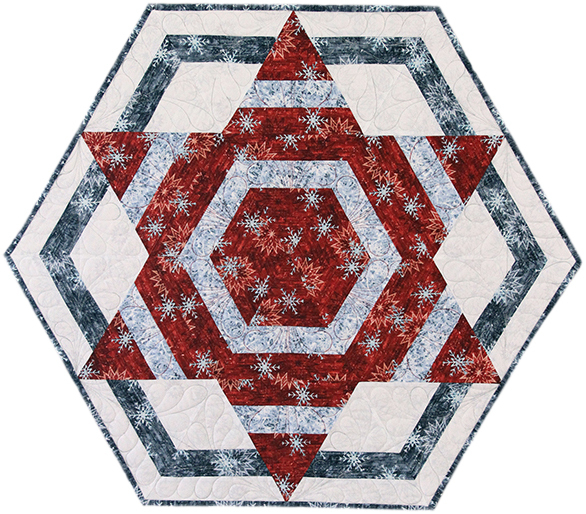 Northern Star, designed by Quiltworx.com, made by Audrey, another young quilter (16 years old), is also a member of the Kenton County 4-H Club. Her quilt was named the Kentucky County Grand Champion 4-H Quilt. Elise Hasley Seibt It’s beautiful!!! Nancy Darpel Rapp Way to go, Audrey! Jayne Cohen Blatt where can I buy this pattern? Lynn Feldman Wow. Love that pop of green. 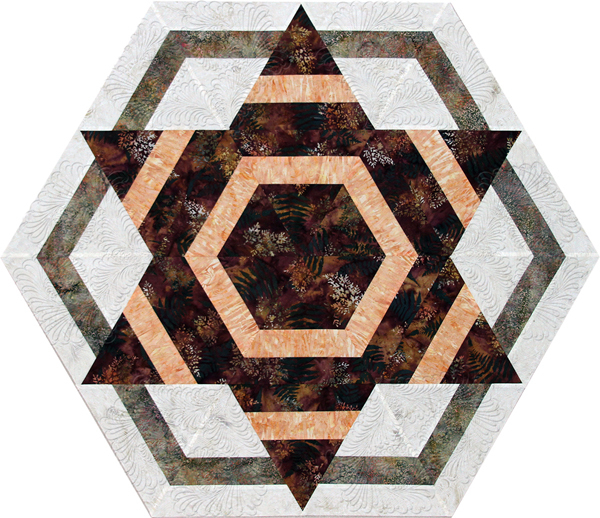 Northern Star Table Topper, designed by Cindi McCracken using Charm Elements by Quiltworx.com, Made by CI Catherine Wilson... Pattern available as a Cut Loose Press pattern. Brian Jan Turner Great idea I would like to try. Frances Elsheimer Wow. Love this pattern. Where can it be found? Karen Dickson Paper pieced or otherwise ????? Sorry, there are no classes scheduled for Northern Star Table Topper at this time.